After recent rumors and leaks, Samsung sent out invites to an event today promising "4x fun." 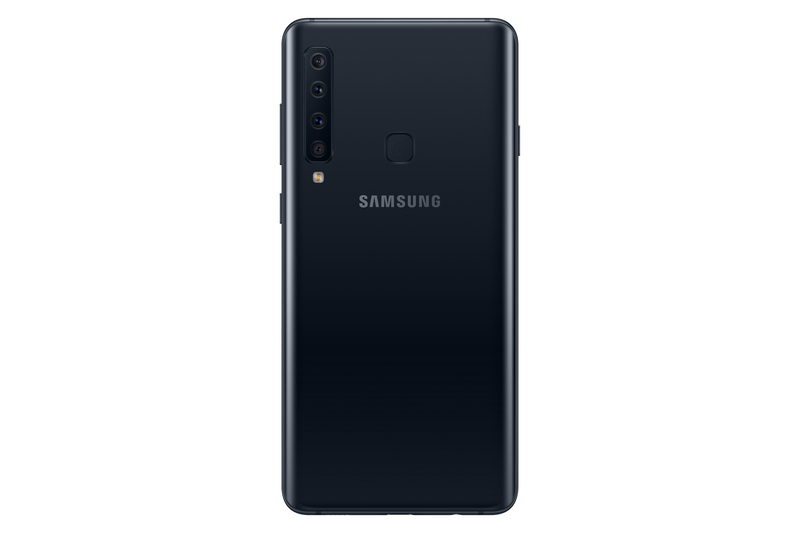 Sure enough, the South Korean giant announced the Galaxy A9 (2018), with great emphasis on its four rear cameras, the first in a mainstream smartphone. 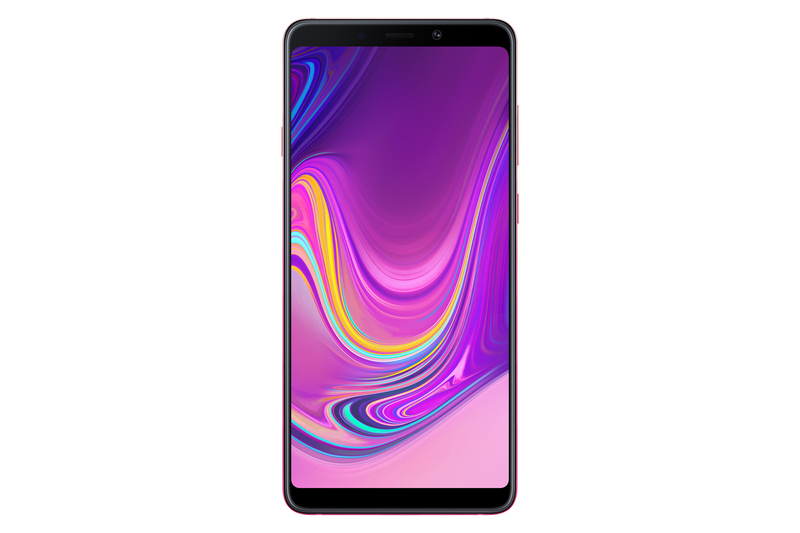 It also packs a Qualcomm Snapdragon 710 processor and either 6 or 8GB of RAM. 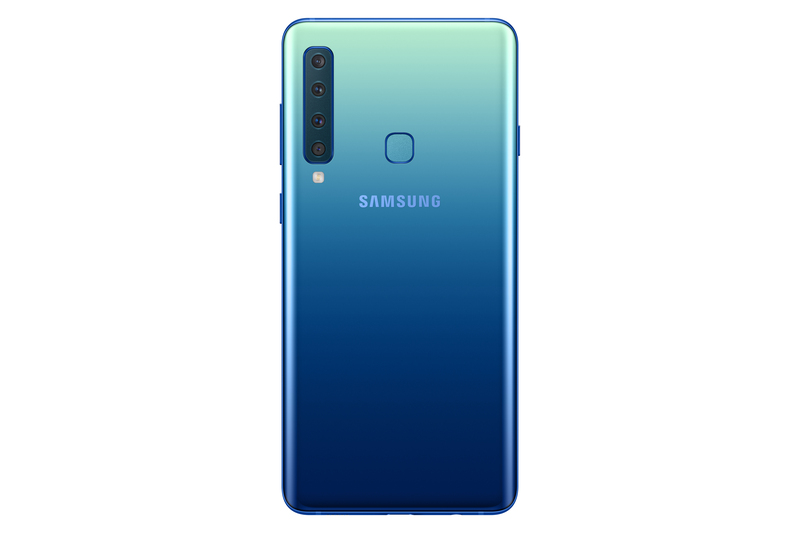 It's a sign of the times that it's almost more surprising to see a single camera on the back of Google's flagship Pixel 3 than it is to see quad cameras on this Samsung device, with many other handsets on the market now including two or three lenses on the back. 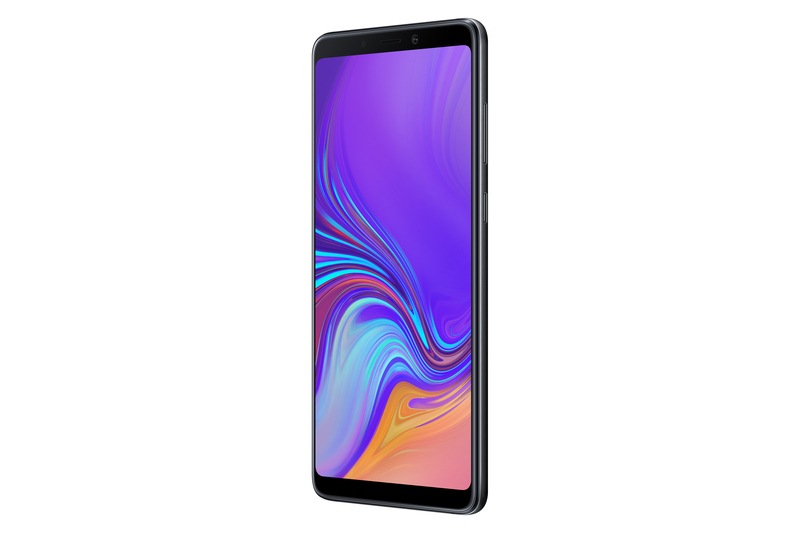 On the front, the Galaxy A9 sports a 6.3" Full HD+ (2,220×1,080) Super AMOLED display with relatively small bezels and a single 24MP front-facing camera (f/2.0). 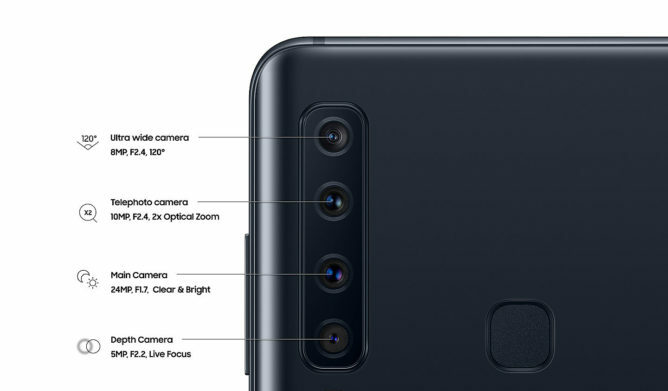 The four cameras on the rear consist of a main 24MP shooter (f/1.7) complemented by telephoto, ultra wide, and depth sensors. Imaging features include 2x optical zoom, scene optimizer, manual depth of field adjusting, and much more. 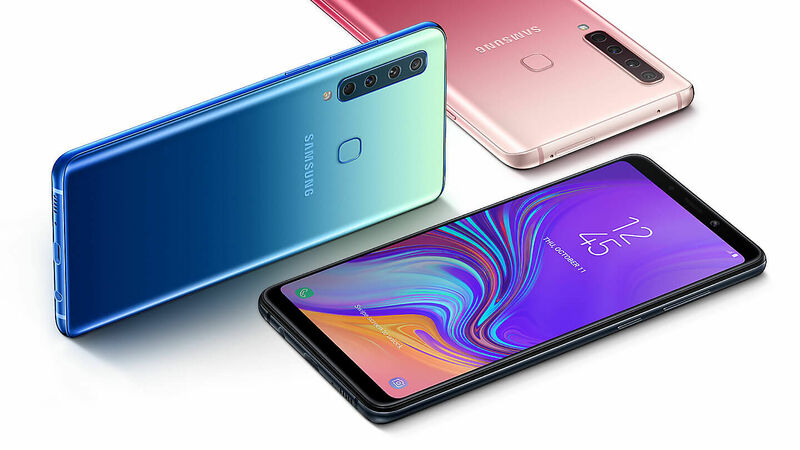 The 3,800mAh battery charges over USB-C and Samsung continues to retain the 3.5mm headphone jack. There are two different models, depending on the market. They offer either 6 or 8GB of RAM, and both come with 128GB of storage. 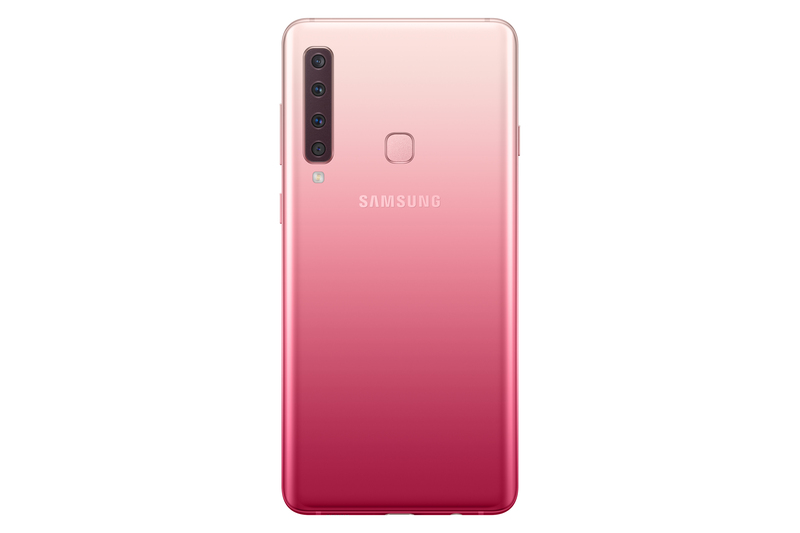 Three colorways are available: Caviar Black, Lemonade Blue, and Bubblegum Pink, with the latter two presenting eye-catching Huawei-style gradient finishes. 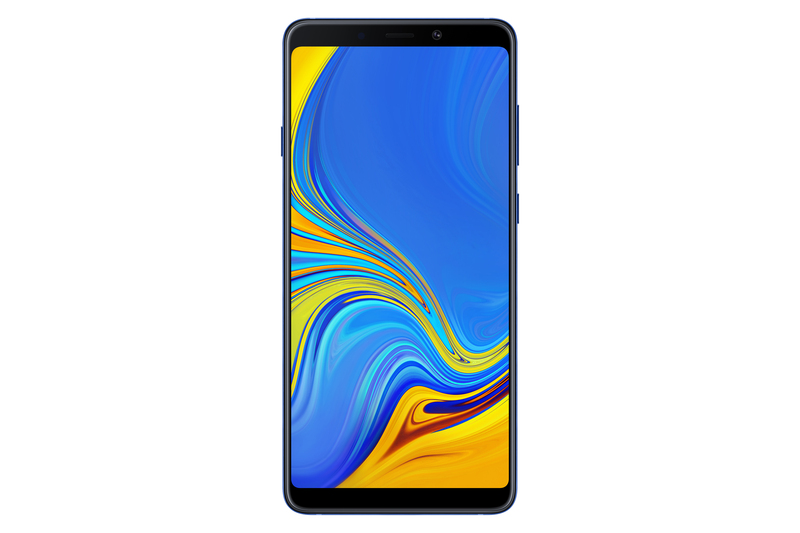 The Samsung Galaxy A9 goes on sale next month in select markets. In Europe, it will start at €599 / £549 (between $700-$725), with the 8GB variant sure to be a little more. 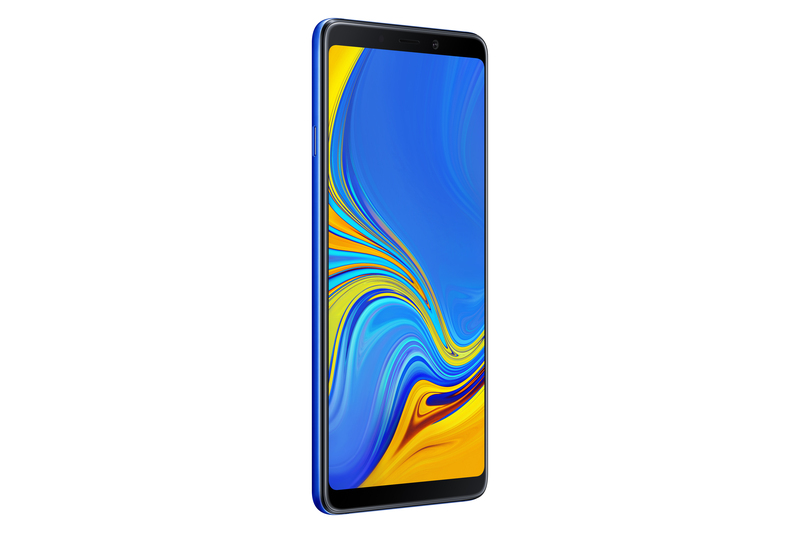 Correction: We originally thought that the Samsung Galaxy A9 included a Qualcomm Snapdragon 710 chip — in fact, it uses a Snapdragon 660 instead. This has been updated in the spec table.